As I continue my hike, and appreciate the natural beauty of the Trail, I have also come to appreciate the rich history surrounding the Tow Path Trail, as teamsters once drew canal boats through the Miami & Erie Canal here with their teams of mules and Oxen. I can visualize Nineteenth Century life here that was centered on transportation and commerce around these canals- the “super highways” of their time. 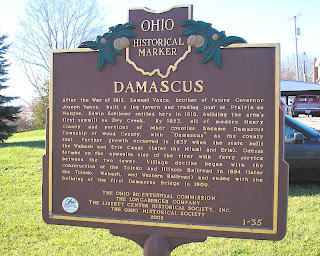 Occasionally, I am reminded of more history which even predates the Canals! It is documented that the French were the first Europeans to explore this area. 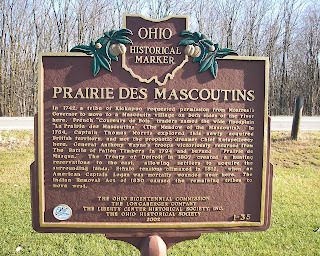 The Maumee River was a historical Trade Route used by the French. As the French traders and trappers explored this part of the continent in the 1600 and 1700’s, they came to discover that this river was part of a water transportation route connecting their settlements in Quebec with their settlements on the Gulf of Mexico- including New Orleans. Traveling from Quebec by boat west up the St Lawrence River to Lake Ontario. Thence to Portage up Niagara Escarpment and around the Falls, all the way to the western end of Lake Erie. 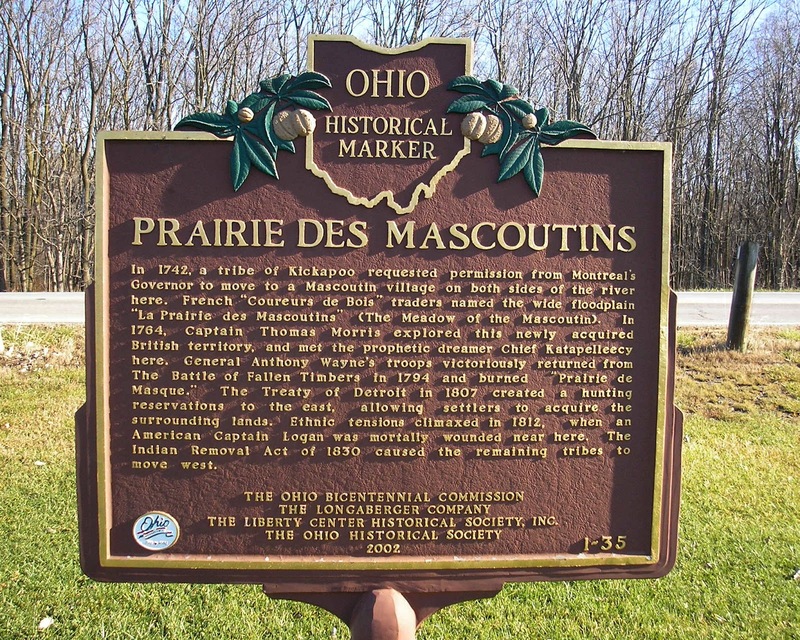 Thence entering the Maumee River (Miami of the Erie) and ascending it all the way to its headwaters near Kekionga- an Indian town (present day Fort Wayne, Indiana) Thence a brief five mile portage to the headwaters of the Wabash River. From here, traveling downriver clear until it empties into the Ohio River, then into the Mississippi River, and down to New Orleans. The entire distance by water- save 2 land portages totaling less than 50 miles! Read the Text of the Markers. 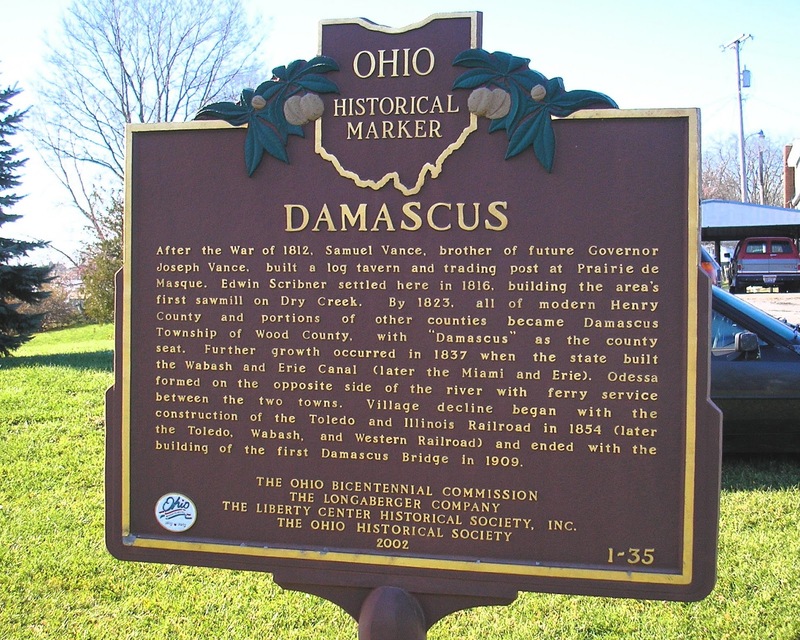 Contained in The Henry County Historical Society's Oral History Collection, is a transcript told by Genevieve Eicher- a Wyandotte Indian Decendant- as to the location of this settlement. Click Here to Read the Transcript of the Oral History narrative. Watermark theme. Theme images by konradlew. Powered by Blogger.